UP Regent Francis C. Laurel called the 389-strong UPLB Graduate School (GS) Class of 2018 as the new “torch bearers” who will spread the light of knowledge and truth. “You carry with you the responsibility of sharing the wisdom that has been given to you by your mentors. Always bear in mind the responsibility of living up to the great traditions of honor and excellence that we in UP proudly stand for,” Regent Laurel said. 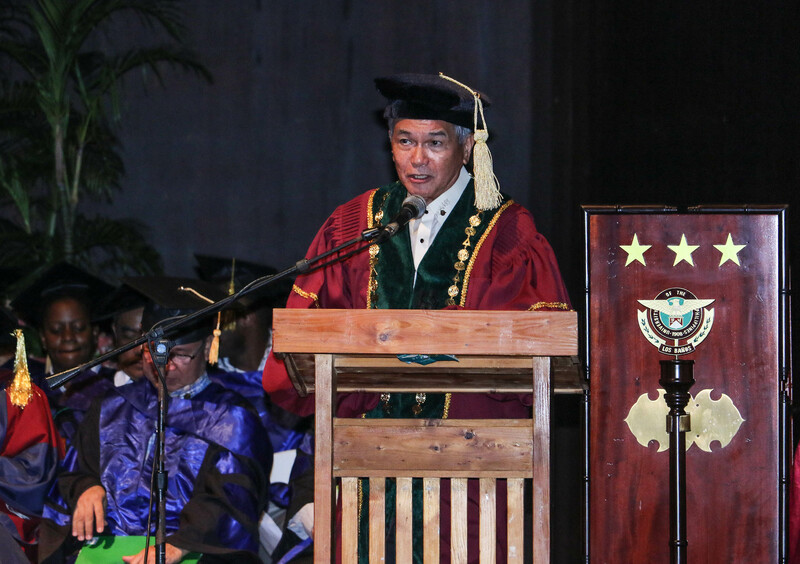 Regent Laurel, BS Agriculture-Agricultural Business class of 1969 of UPCA, was the guest of honor and keynote speaker at the GS Hooding and Recognition Ceremonies on June 22 at the DL Umali Hall. The GS Class of 2018 has produced 306 master’s and 83 doctoral degree holders, higher than last year’s 323. “With the strong support and leadership of Chancellor Fernando C. Sanchez, Jr., and the cooperation of our deans and faculty members, we have a good harvest this year compared to last year,” noted Dr. Jose V. Camacho, Jr., dean of GS. Aside from recognizing the candidates for graduation before being officially conferred their titles the next day, the PhD candidates were also presented their academic regalia. Top five students with the highest General Weighted Average at both levels were also recognized. Leading them were Academic Excellence Awardees Eva A. Goyena, PhD Human Nutrition, and John Kenneth T. Malilay, MS Animal Science.